Finally! 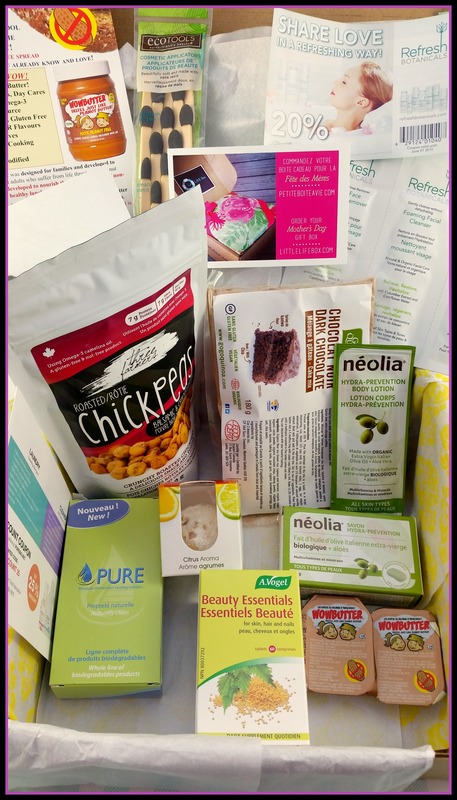 A monthly re-occurring box of goodies made by Canadians, in Canada, at an affordable price. This Little Life Box review is one I’m so proud to write, I’ve been a huge fan of this company and what they’ve accomplished as a family. 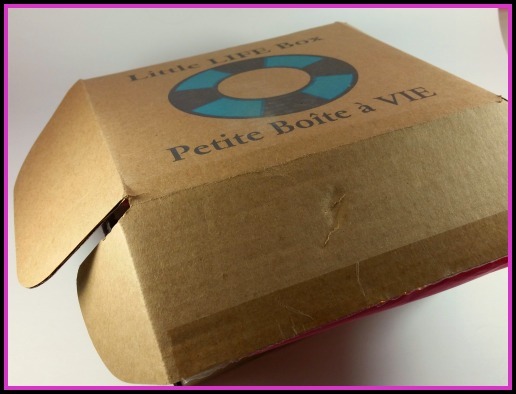 Little Life Box not only offer snacks and cosmetics products (delivered to your home every month) but they include loads of unique, healthier choice alternatives. I’ve gotten everything from superfood snacks, vitamin supplements, organic make-up applicators to bath bombs. 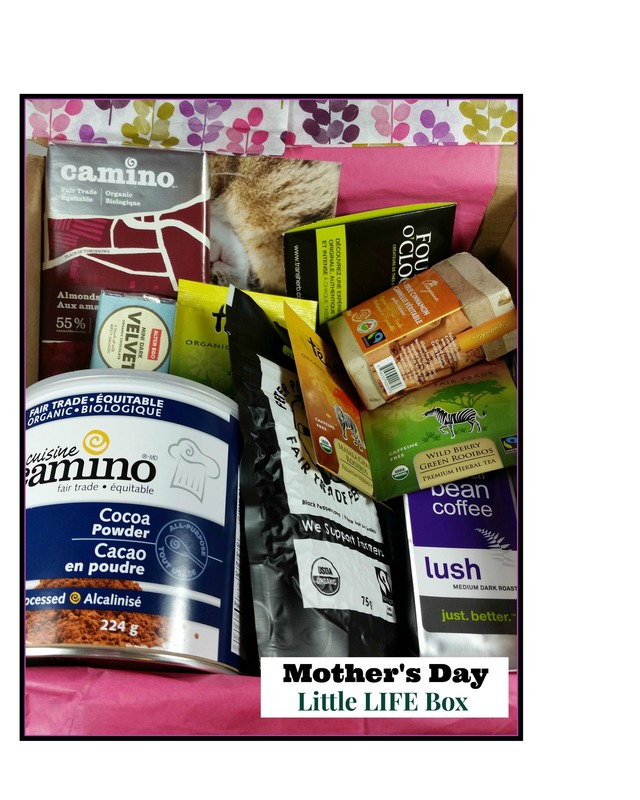 Their box selections are really unique, affordable and a surprise I wait for every month. You’re saving money when enrolling in the pre-paid plans, (compared to a re-occurring monthly subscription at a cost of $24.90 monthly) you’d save the following: if you sign-up for 3 months pre-paid- you save $4.89. For six-months pre-paid you save- $11.76. For a 1 year pre-paid you save- $24.60. WHAT YOU CAN EXPECT IN A MONTHLY LIFEBOX? I can’t get over how much product is packed in a box relative to the cost of each item. In my May box, the chickpea snacks alone are selling for over $6 in my local organic grocery store. I’d probably never pay that just to try them, that’s why these boxes serve so well. You’re constantly getting to try new healthy things you’d not normally be exposed to. The items ship well, not all smooshed-up in the box- but rather neatly wrapped in recyclable tissue paper. I didn’t get to try these items, cause like a good daughter I gave them to my mom for Mother’s Day. She loved the idea and concept and was sold on the cooking products. The different teas were a nice added touch too. It made shopping so easy for me, wrapping included and who doesn’t love digging into a big surprise box as a gift. 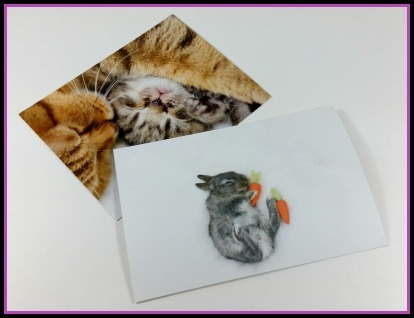 Right now, they’re selling a special “Father’s Day” Little Life Box HERE! 2. A. Vogel Beauty Essentials: (full size 60 tablet bottle) daily supplements for skin, hair, nails… These tablets contain fresh stinging nettle known for its beauty busting benefits. 3. Neolia: (full-size soap bar & sample size body lotion)- both products smell amazing, they’re paraben-free, biodegradable, and free from animal-testing. 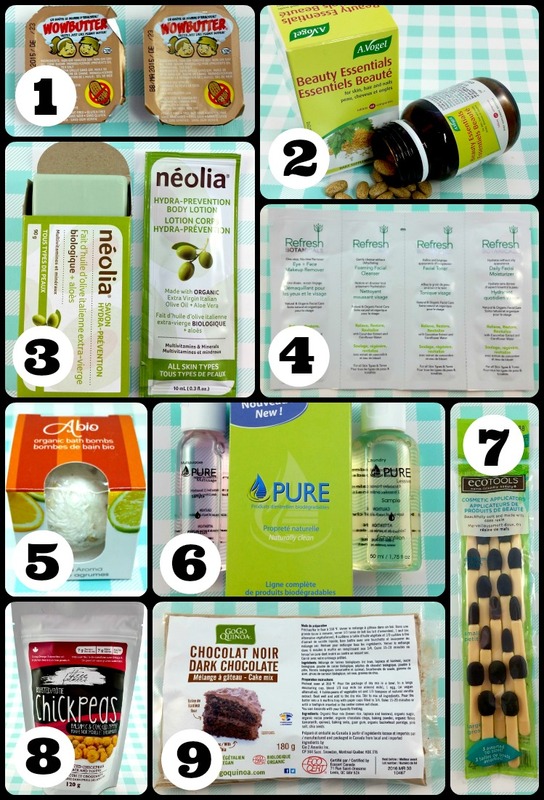 I’m very granola when it comes to my beauty products, there’s a few ingredients I’d rather avoid in these but overall they’re a better choice soap. 5. Abio Organic Bath Bomb: (full size) I’ve never had the pleasure of using an organic bath bomb before, so it was a big bonus. When I dropped it in the water it definitely fizzled but it was the smell and aromatherapy benefits that I couldn’t get enough of, I smelt like a fresh citrus peel getting out of the tub. 6. PUREBIO.net: (25% off coupon + 2 sample sizes of a laundry detergent & mulch-purpose cleanser) thank goodness they include flyers to explain certain items, because from the packaging I couldn’t figure-out what the heck this was. Its a natural line of biodegradable “very concentrated” cleansers. I haven’t used the detergent because it smells like fragrance and I swear by soap nuts for my laundry time. I used the multipurpose cleaner in my kitchen, it did the job. Would I buy it? Probably not since vinegar & water for cleaning is just fine for me but it was fun to change things up. 7. Eco Tools Cosmetic Eye Makeup Applicators: (full size, 3 assorted tip sizes) can you ever have enough of these! I loved this pleasant surprise, the tips were super soft and applied my makeup seamlessly. Eye make-up applicators are something you need to replace often (they get full of bacteria fast from touching eyes etc… kind of like mascara). Having a clean stash of replenishment’s on-hand is something I can’t live without now. 8. Three Farmers – Roasted Chickpeas Balsamic & Cracked Pepper: (full size bag) no artificial ingredients, just roasted chickpeas and spices. I loved having these at my desk at work: a quick yummy, super crunchy, spicy snack when you need one. I’ve seen these when doing groceries before, I love the fact I could try it via my Little Life Box at a savings. I’d definitely buy these to snack on again. 9. GoGo Quinoa Dark Chocolate Cake Mix: (enough mix to bake 6 muffins) I gotta be honest, I haven’t put on my bakers cap for this one yet. I’m a fan of cake that’s for sure, so this health-minded quinoa based mix is a great idea to include. The mix also includes all kinds of other superfoods: chia seeds, organic cocoa powder, pink salt… Who can say “no” to chocolate chip loaded, healthy cake?! 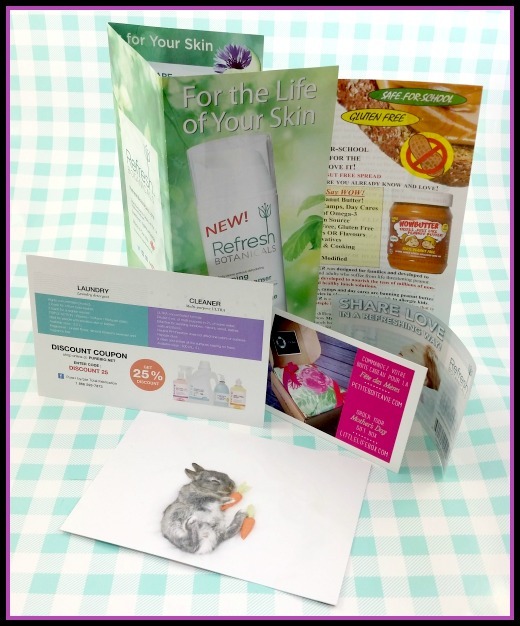 Little Life Box also included these flyers, pamphlets and coupons. It’s essential to understanding some of the products and benefits- so I always make sure to read them. My hunt for the perfect monthly box is a mission I take seriously. I’m cheap, so I want the best bang for my buck, I want new varying things, health-minded organic products, and also something I can snack on. The fact I live in Canada usually works against me, but finally it’s not with this Canadian born box.